The Beatles Song of the Day is Everybody’s Got Something To Hide Except Me and My Monkey. The song is on The White Album was was written by John Lennon. 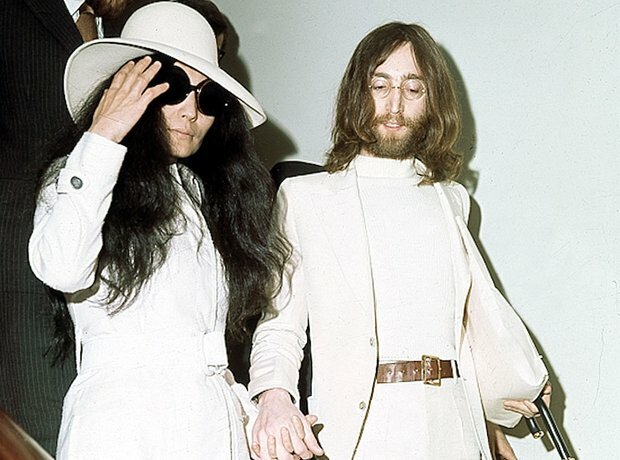 John would later say it was a song he wrote his future wife Yoko Ono who during this period was the center of his life and how other people- the other Beatles etc- were reacting to them. Everyone seemed paranoid around them- but the two of them John was saying. Paul thought the term monkey- was referring to heroin- which John and Yoko were using but the rest of The Beatles weren’t into. The original title John had for the song was “Come On, Come On.” The title is the longest title of any Beatles song. Fats Domino did a version of the song. John Lennon: vocal, guitar, percussion, handclaps: George Harrison: backing vocal, lead guitar, percussion and handclaps: Paul McCartney: backing vocal, bass, percussion, handclaps: Ringo Starr: drums, percussion, handclaps: Produced by George Martin. rating for Everybody’s Got Something To Hide Except Me And My Monkey **** stars out of 5 stars. the song was never released as a single. recorded on June 26, 27, July 1, 23, 1968. Spignesi and Lewis in their book rank it at #63, critic Wyman #144, Rolling Stone # 73, The Beatles Channel listeners poll and Jim Beviglia in his book didn’t have it in their top 100. LOVE this song and the controlled chaos of it. Pauls bass is great in this song.